Honda has been concentrating on the development of Hydrogen-powered vehicles over electric for the past few years, but with EVs now all the rage, the automaker has changed course and embraced the shift to electrification with a fun, funky concept previewing Hondas return to what they do best: small, efficient and fun-to-drive vehicles. A clear standout among dozens of other shiny new concept vehicles. Honda’s URBAN EV has been drawing wild praise since it was introduced. A small, seemingly Pixar-inspired hatchback, the concept looks strikingly similar to Honda civics from the 70’s. Honda has clearly hit the “reset button” and by way of the global shift to electrified transportation, will once again be concentrating on efficiency, innovation and dare I say it…. Fun. Honda’s “Electric Vision” strategy aims to have electrified vehicles make up two-thirds of its new car sales by 2025 in Europe and by 2030 in other global markets. Europe is undeniably moving towards electrification faster than other markets, so, it makes perfect sense for the automaker to introduce the next step in its plans over there. The URBAN EV concept is a preview of a similar production vehicle slated to arrive in Europe by 2019. 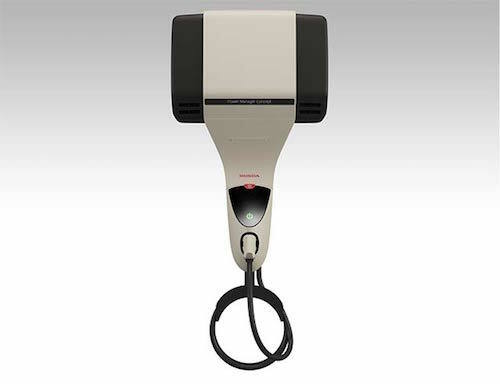 It also previews the design language to be seen on all of Honda’s upcoming electrified vehicles. The cheerful and almost animated looking little hatch rides on a new platform and features a Honda logo with blue backlighting. Its most unusual features are the rear-hinged doors that swing open opposite to traditional doors and its bench seating, which may be an indication of some level of autonomous capabilities. Inside a panoramic touchscreen that nearly spans the entire dash area makes anything currently available look tiny. Also unveiled at Frankfurt was a Euro-spec CR-V HYBRID prototype which is a model that will see dealerships on that side of the water very soon. Under its hood is the same i-MMD two-motor hybrid system found in the current generation Honda Accord Hybrid in North America. 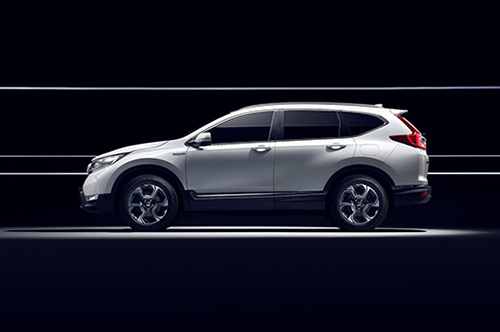 A unique feature of the CR-V HYBRID is that its powertrain doesn’t need a conventional transmission and uses a multi-mode single fixed gear ratio to put power down to the wheels. Earlier at the 2017 Detroit auto show, Honda announced a new dedicated hybrid model, targeting the Toyota Prius, Hyundai Ioniq, Kia Niro, and Chevrolet Volt. The automaker also revealed that its two-motor hybrid system will find its way into its utility vehicles, meaning that hybrid variants of the Pilot, Odyssey, or Ridgeline could be arriving soon. Stay in touch for more details of Honda’s “Electric Vision” strategy and for news on Hybrid and EV models coming to your market.